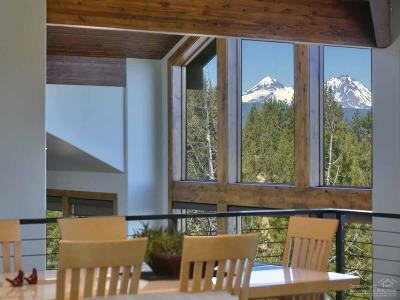 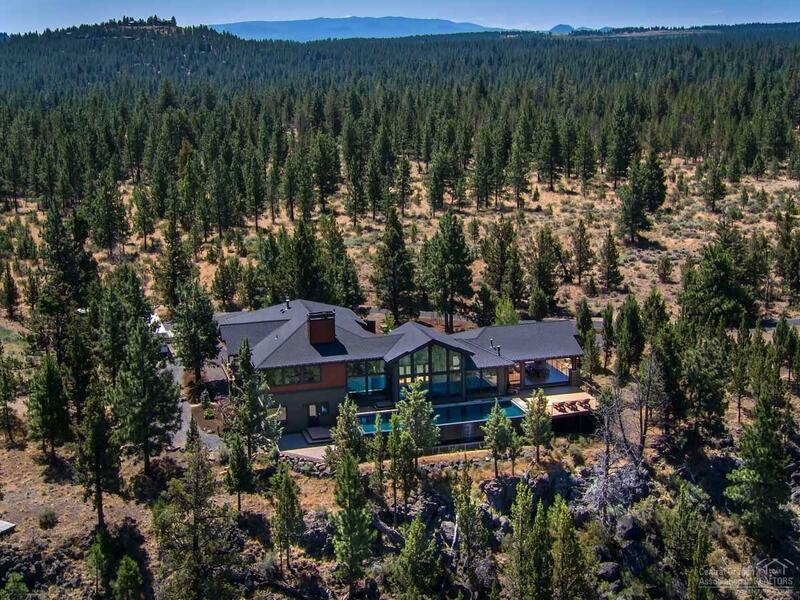 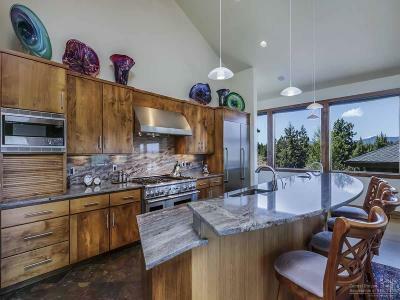 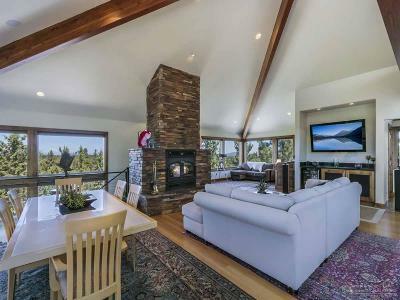 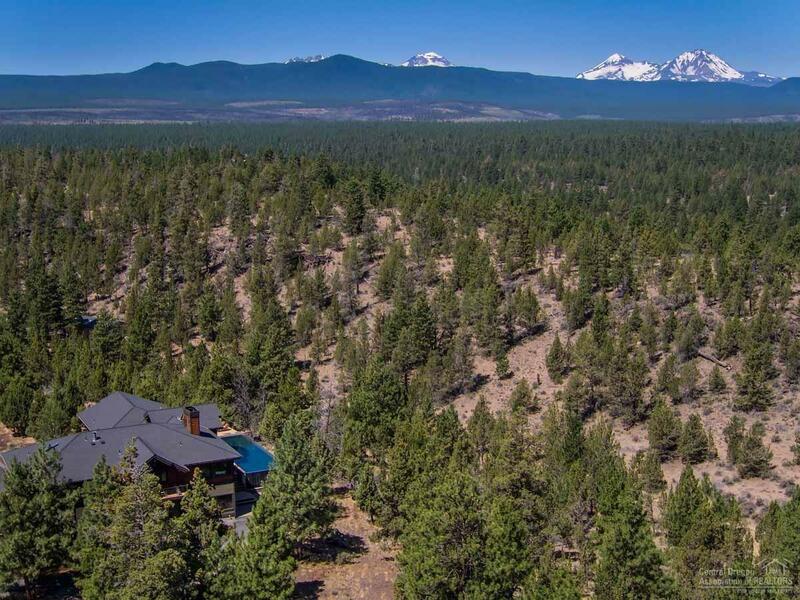 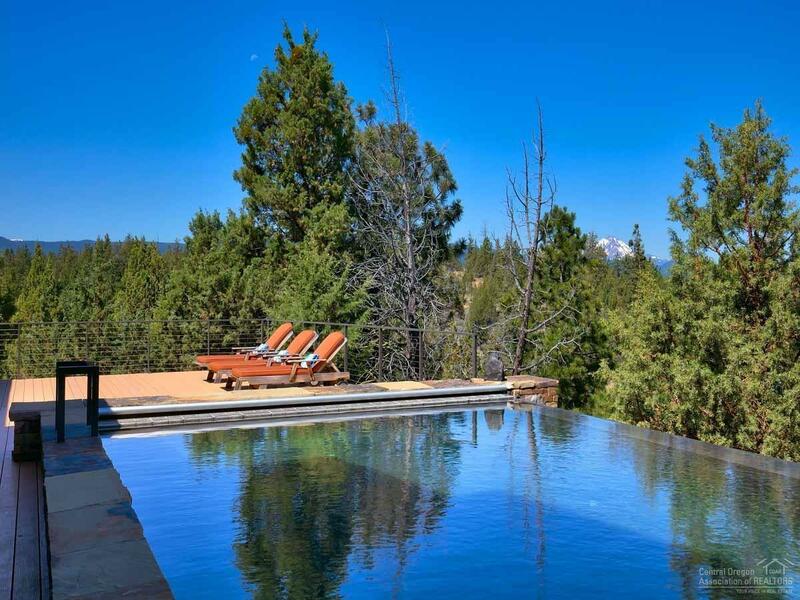 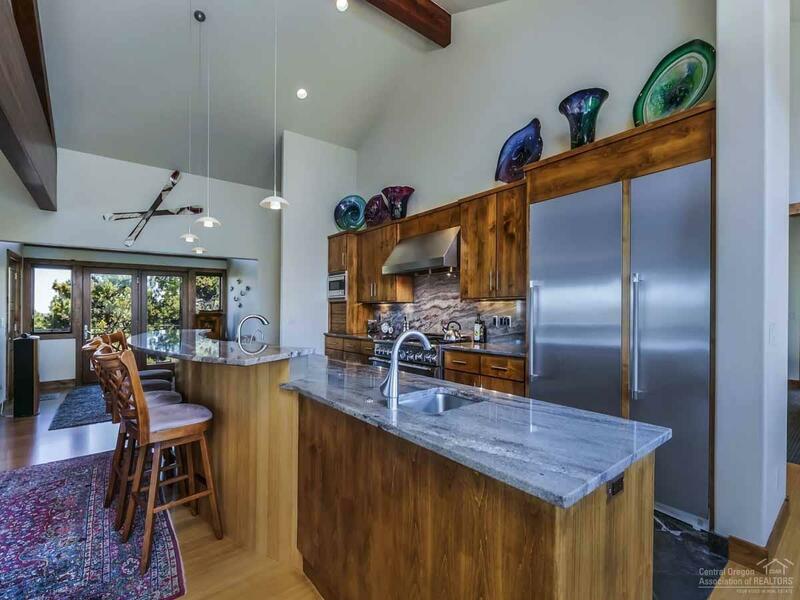 This is an incredible property - 40 private acres with mountain views & a home that people dream about. 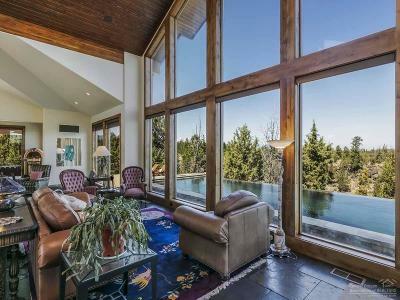 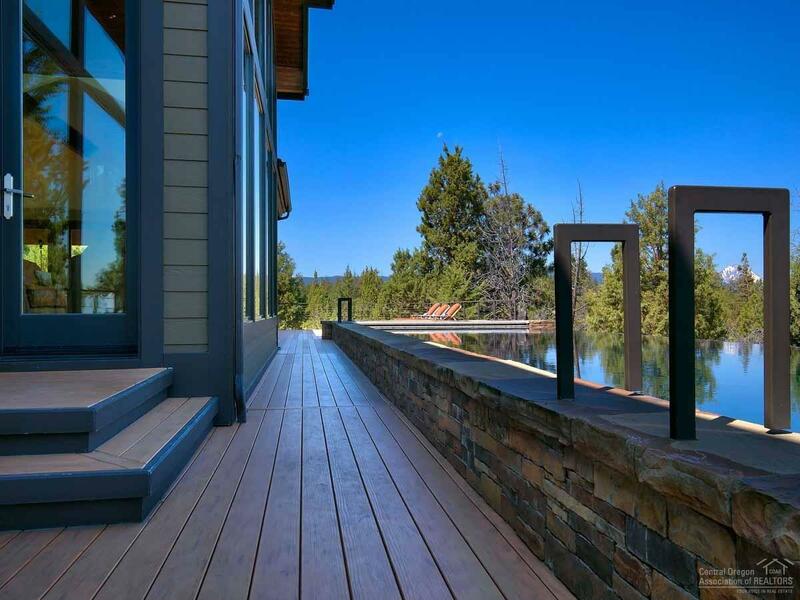 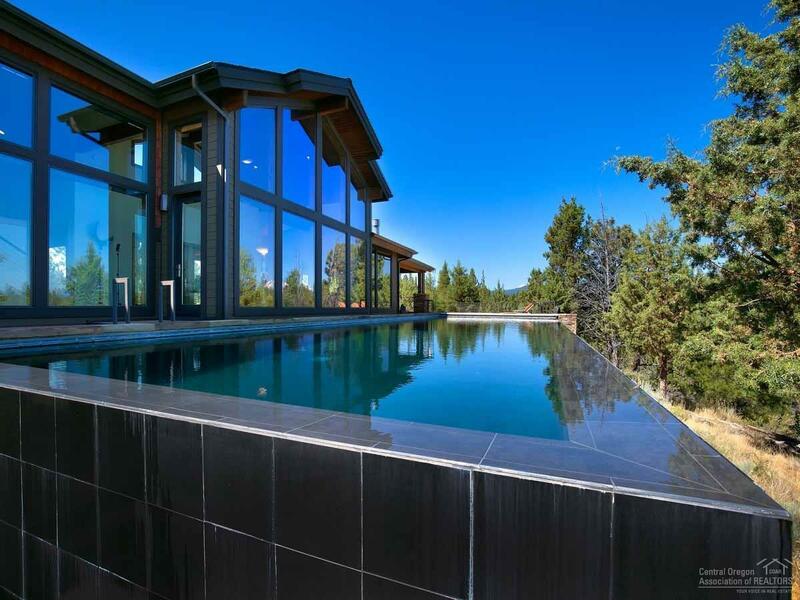 A paved driveway winds up to this stunning home which features floor-to-ceiling glass, many options for year-round entertaining & an infinity pool with views. 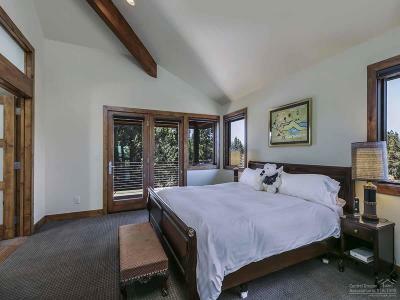 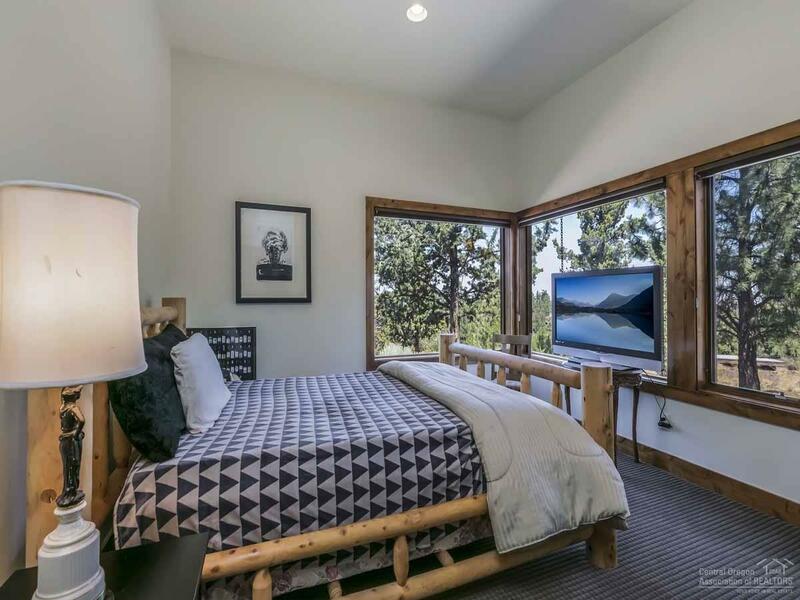 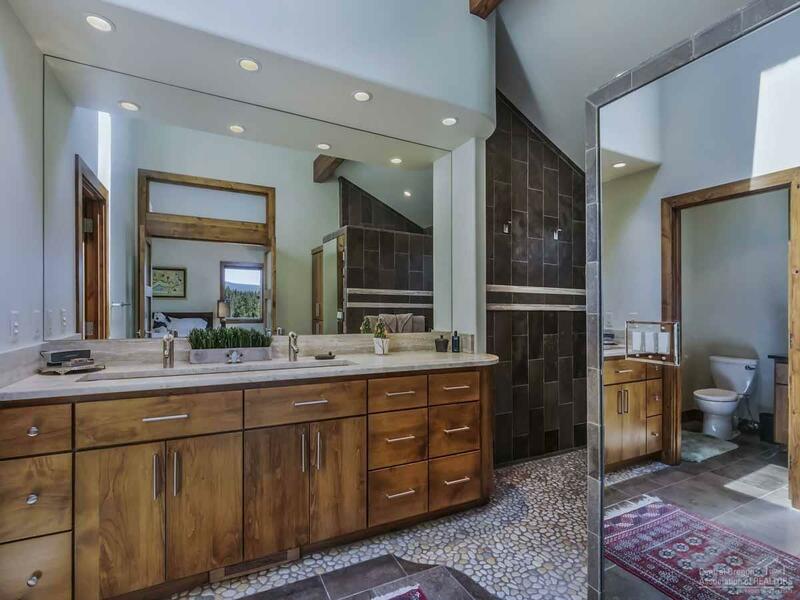 There is an amazing master suite off the main level, 2 bedrooms downstairs with a possible 4th that can be finished later. 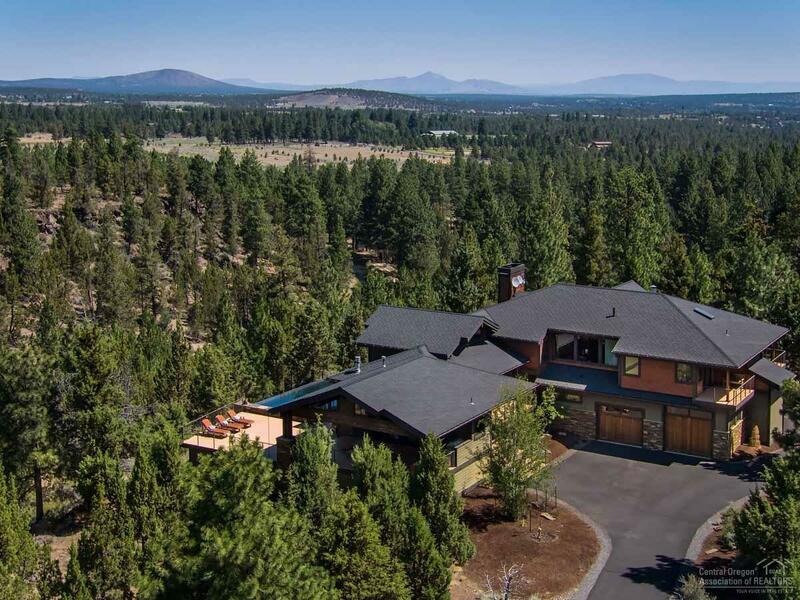 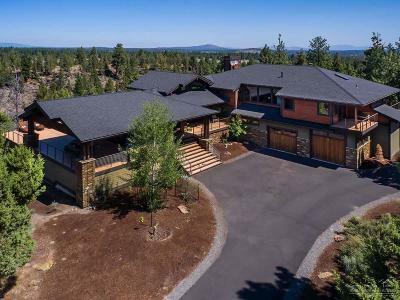 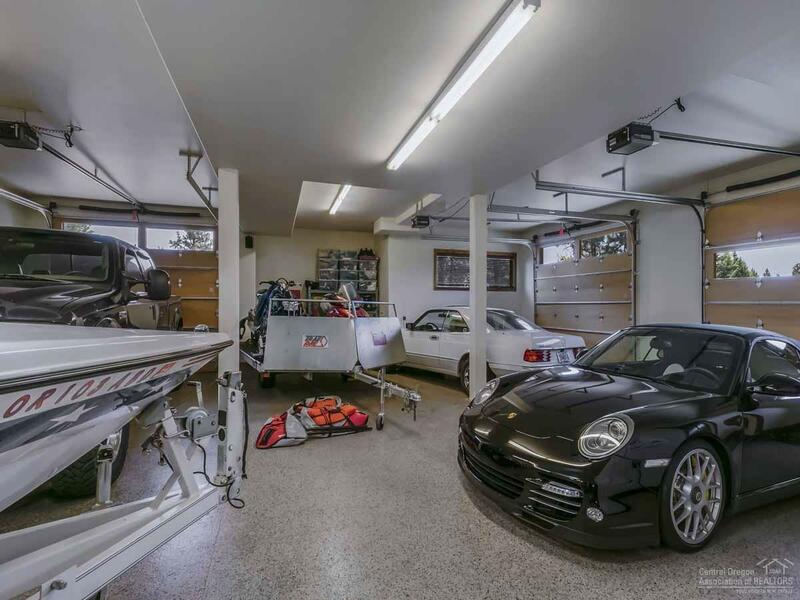 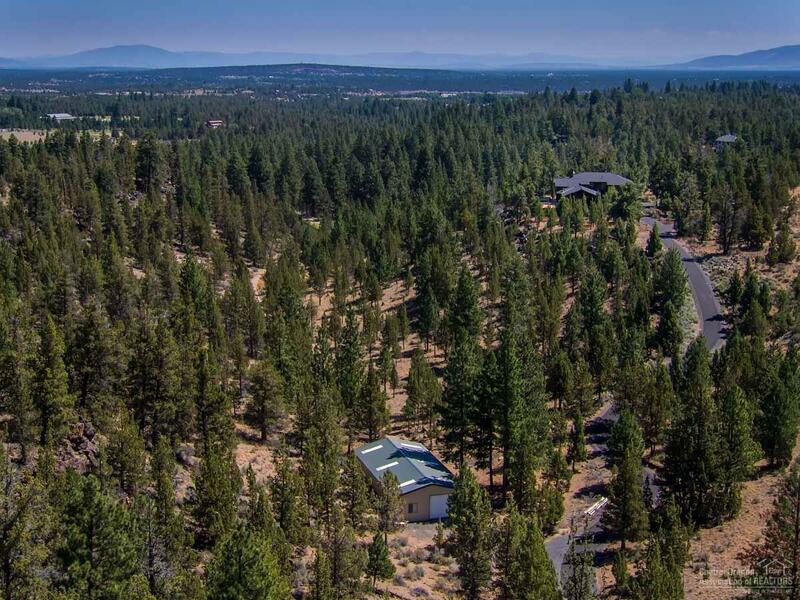 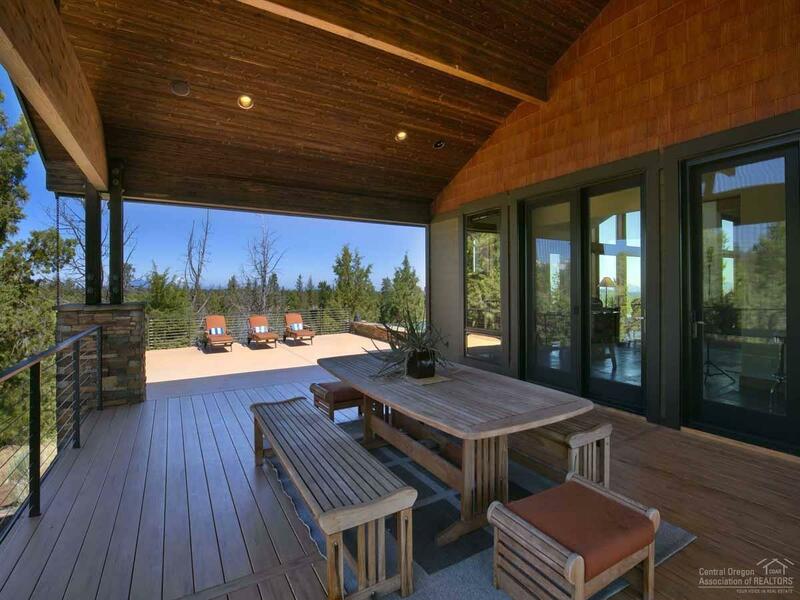 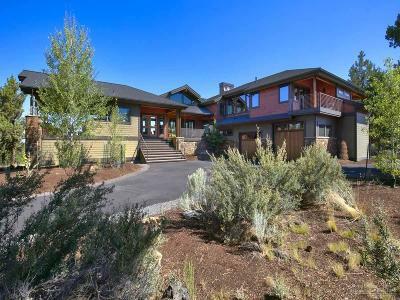 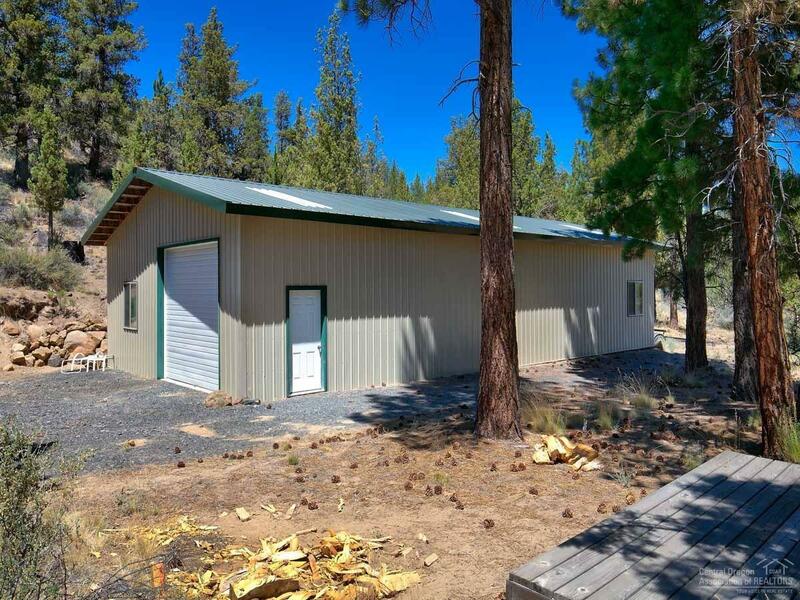 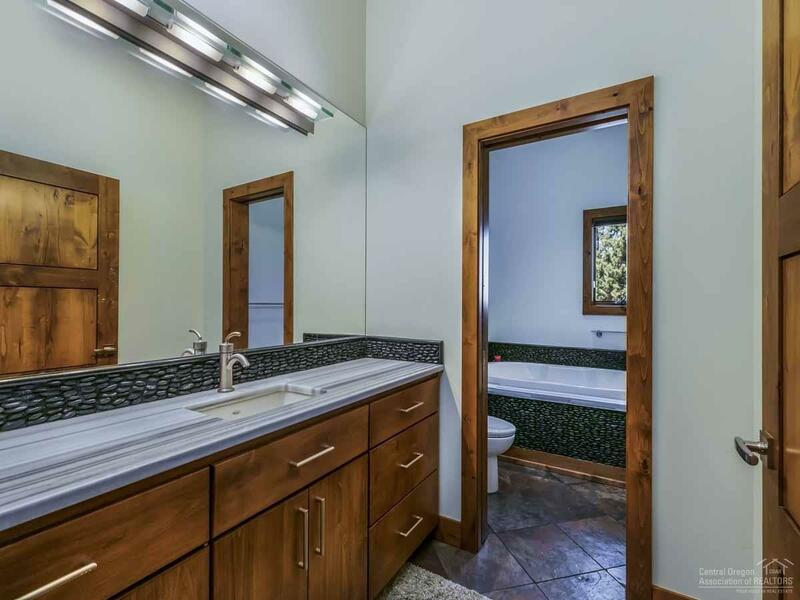 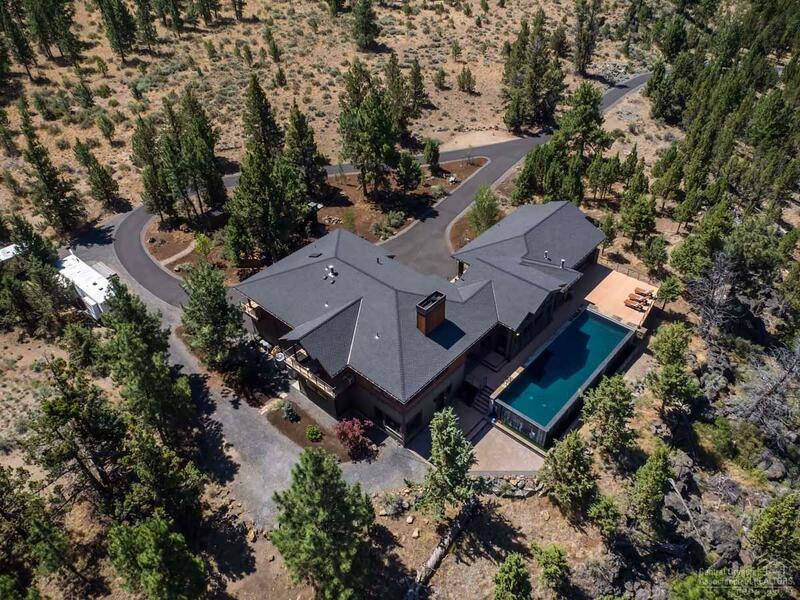 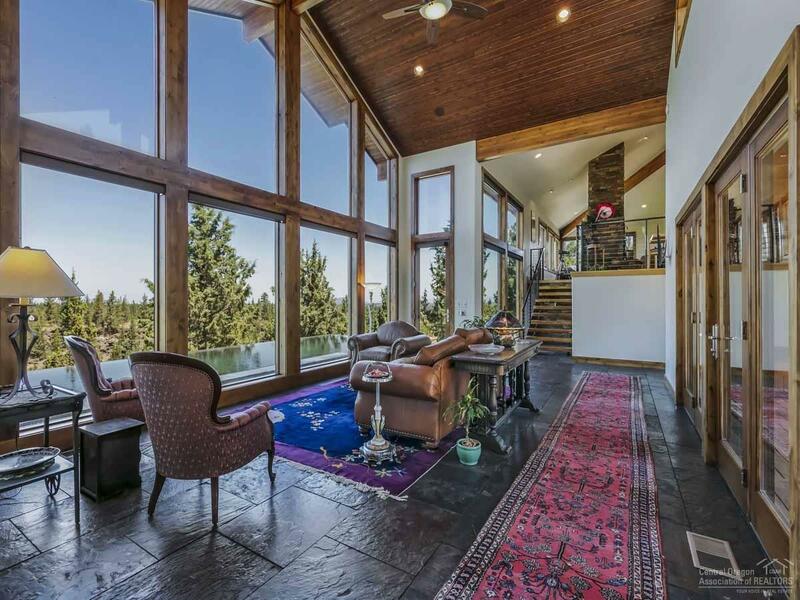 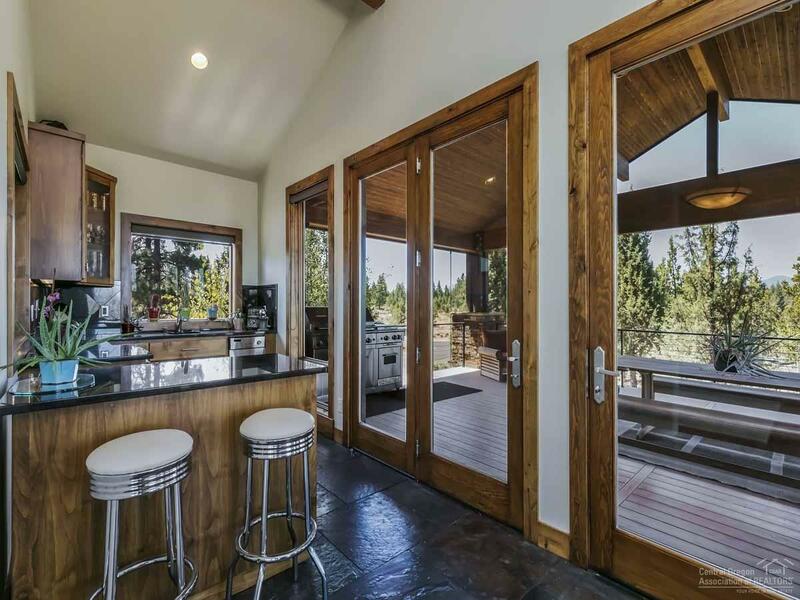 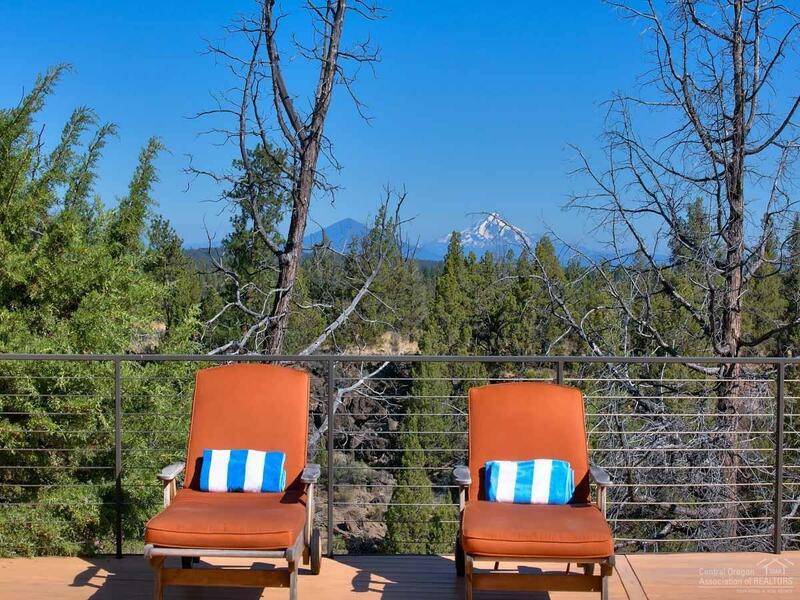 It also has an elevator, gated entry, 40x60 shop, 10x20 storage building, 4+ car garage, & only ten minutes to downtown Bend.